The B5 Foundation (B5F) has been incubated and primarily funded by the gracious support of UDWA. During this time, we have tested the marketplace for the need for our services through our culinary arts training program. This pilot program resulted in work opportunities for unemployed and underemployed home health care workers. During this quiet “startup” time, we have also laid the groundwork for a partnership with a major hotel chain in the San Diego Area. The primary infrastructure and organizational identity have also been established. The B5 Foundation plans to establish multiple sustainable funding sources for its programs and operations. With the necessary resources, B5F also intends to increase the number of programs that are conducted. While B5F is generally focused on providing its services to home health care workers and their families, the organization also intends to provide its services more broadly when needed and will seek to expand across California via a chapter model as the programs grow. The Board of The B5 Foundation is led by Chair LaVerne Gray Davis. As a visionary leader, she shares her passion for the mission and commitment to the vision with all who engage the organization. Davis works with Kirk Scott Consulting and the Board of Directors to develop plans and strategies for B5F. She also serves as the chief fundraiser for the organization and works with contractors on gathering resources for the organization. 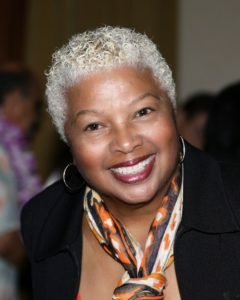 LaVerne G. Davis, is the President/Director of the B5 Foundation where she is responsible for the strategy and daily operation of the organization. She formerly served as the Chief Administrative Officer for UDW Homecare Providers Union, AFSCME Local 3930/AFL-CIO in San Diego, California. The Union represents more than 100,000 homecare workers in Southern and Northern California. Davis is also the former Vice President-External Affairs for Verizon. In this position, she was responsible for community relations and the Verizon Foundation. During her career with Verizon, Davis held a variety of Operations positions in California, as well as staff positions in Human Resources and Labor Relations. She is currently a member of Rotary International in Long Beach and is a Paul Harris Fellow. Her former memberships include the Long Beach Chamber and Metropolitan YMCA. Davis is a founding member of the board of directors of the Los Angeles African American Women’s Public Policy Institute, whose goal is to create a trained pool of individuals for leadership in community and public service at the local, state and national levels. She is a recipient of the Women Who Make a Difference award from the Long Beach Chapter of Soroptimist International and is a recipient of the Deborah Award from the Anti Defamation League. Davis is also a member of the Delta Sigma Theta Sorority, Inc. and the Links, Inc.
She has a doctorate degree in institutional management from Pepperdine University in Malibu. Doug Moore is the Executive Director of the United Domestic Workers of America (UDW/AFSCME 3930) which represents over 100,000 in-home care providers across California. Moore began his labor career in 1980 with the Communications Workers of America (CWA) while working for phone company GTE. After being recruited by AFSCME and serving as Regional Field Administrator and Assistant Regional Director, Doug assisted in negotiating an agreement and helped build a 20,000-strong, member-driven union – AFSCME Local 3299. In 2005, Moore was appointed Deputy Administrator of UDW, tasked with restructuring the union, a successful tenure which led the UDW Executive Board to appoint Doug Moore in February 2008 as Executive Director, with full responsibility for managing UDW activities, budget and staff. In 2009 he was selected as Labor Leader of the Year by the San Diego/Imperial Counties Labor Council. Moore, in 2010, was one of the key labor leaders in the historic “March for California’s Future,” a 48-day, 350-mile march from Bakersfield to the State Capitol in Sacramento designed to show public support for quality public education and public service for every Californian, a government and economy that serves all citizens, and a fair tax system to fund California’s future. Moore has long recognized the importance of viewing the labor movement as a part of a broader movement for social change and economic justice. In 2014, he traveled to Ferguson, Missouri to march with the community and stand up against racism and oppression in the wake of Mike Brown’s death. When Moore was honored by the Orange County Labor Federation as Labor Leader of the Year in 2015, he urged his fellow labor leaders to get involved in the broader social justice movement. In April 2018, Moore took part in I AM 2018, a commemoration of the 1968 Memphis Sanitation Workers’ strike. Speaking from the same building where Dr. Martin Luther King, Jr. gave his legendary “Mountaintop” speech exactly 50 years to the day earlier. Andrew Altshule is President at The Outdoor Recreation Group, one of the leading manufacturers globally of outdoor gear and products for backpacking, hiking, and more. He has driven sales increases year after year and assisted in several acquisitions of other entities beneath the brand. Andrew is also a tireless fundraiser and philanthropist. He has traveled around the world helping people and has taken multiple Missions to Israel with The Jewish Federation. Andrew leads by example and inspires others to increase their commitment. He is very influential with his peers and has been an avid fundraiser. Andrew co-chaired one of the most successful Brentwood Men’s fundraising events in recent memory and as Brentwood Men’s Chair, he has even bigger plans. He believes that innovation is vital and is always looking for new and exciting ways to build support for philanthropic causes. Charisse Bremond-Weaver has been President of the Brotherhood Crusade, the community service and development organization Since January 2006. Ms. Bremond-Weaver serves as the Chief Executive Officer of Brotherhood Crusade. She served as the first woman President of the African American Unity Center and as the first-ever Executive Director of Sabriya’s Castle of Fun Foundation. She serves as Director of Green Dot Public Schools. Ms. Bremond-Weaver is a graduate of Utah State University, where she attended on a women’s basketball scholarship and received her degree in Communications. There are several ways to get involved. We love our volunteers who do everything from serving food to helping teach students in our culinary arts training programs, to helping out with our office needs and fundraising. In addition, we can use donations of any size, small or large. The B5 Foundation is a 501(c)(3) non-profit organization (Tax ID# 81-5259849). Your contribution is tax deductible to the extent allowed by law. Please contact us or call us at (619) 581-0449 for further details!